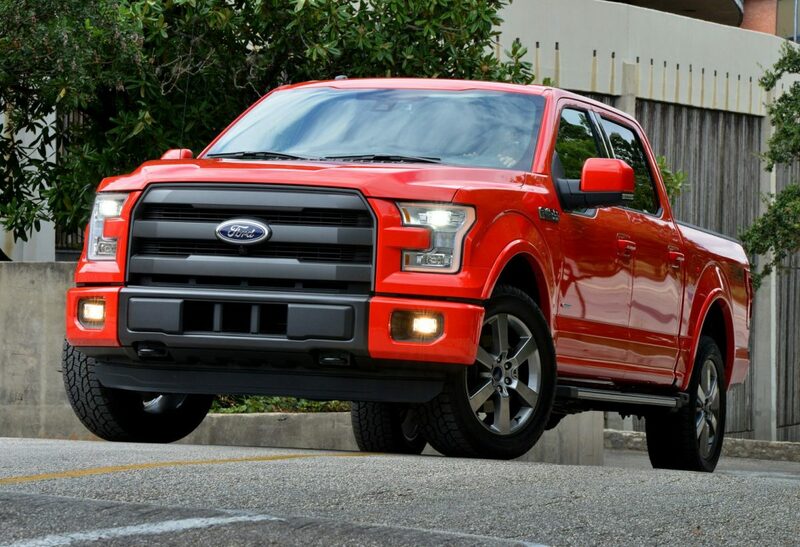 Ford today released its long-awaited fuel efficiency numbers for the 2015 F-150 pickup, staking claim to the highest EPA-estimated fuel economy ratings in the gas-powered 1/2-ton pickup segment. The new trucks started rolling off the line about a week ago, and should be arriving in dealer showrooms. The ratings — 19mpg city/26mpg highway and a combined 22mpg — are for the 4×2 equipped with the brand new 2.7L EcoBoost engine. Tow numbers, already released, say the new F-150 will tow up to 1,100-lbs. more than its predecessor, and haul 530-lbs. mofre. It has from 5%-16% better power to weight ratio and the just released EPA numbers are 5% to 29%better than the current model (depending upon which engine is selected). Much of the improvement is attributable to the 700-lb. weight reduction in the truck — much of it attributable to the use of aerospace grade aluminum body panels and an completely redesigned steel frame. Ford describes this as “smart engineering, which describes a whole range of changes that work together for dramatically improved importance. As part of its announcement, Ford also provided a table of numbers that show that a returning owner of a 2008 F-150 could see fuel economy improvement of up to 43%, power-to-weight improvement of up to 46% and tow increases of 3,900-lbs./haul improvement of 1,390-lbs. depending upon engine and configuration. 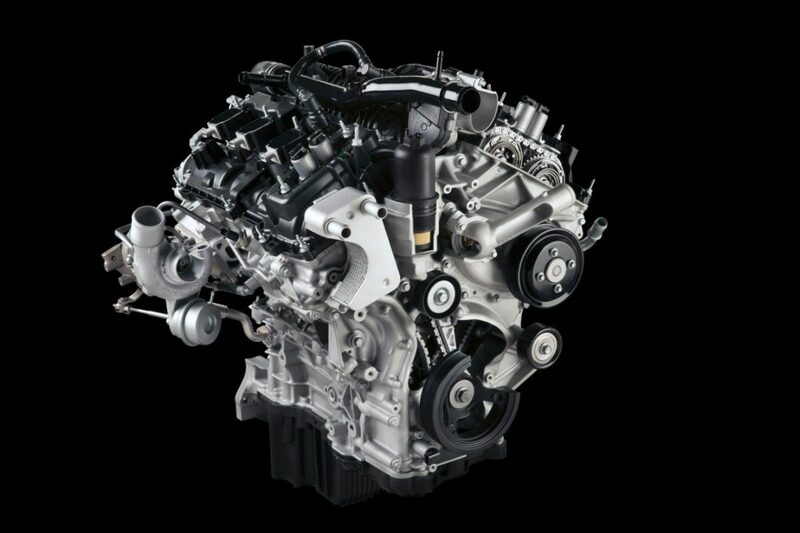 The 3.5L V6 Ti-VCT is the standard engine, with both a 5.0L GV8 Ti-VCT and premium 3.5L Ecoboost engines available. In terms of fuel efficiency ratings in the 1/2-ton pickup market remains the Ram 1500 powered with an EcoDiesel engine (20/28/23), and it is probable that GM will try to improve its Silverado and Sierra numbers with a diesel by 2016 model year. They have already announced a diesel for the 2016 mid-size Colorado and Canyon. Ford was quick to point out that at today’s prices diesel is considerably more expensive than gas, but when considering gas vs diesel, you need to ask how long these lower gas prices be around. My feeling is that both diesel and gas have their strengths and it is a strictly personal decision. I have had multiple opportunities to drive the 2015 F-150 and it performs extremely well — having been named Truck of Texas by the Texas Autowriters Association last month. It is sure to delight F-150 lovers and others and I suspect that in the foreseeable future no other 1/2-ton pickup will challenge its position as the most sold vehicle in North America.